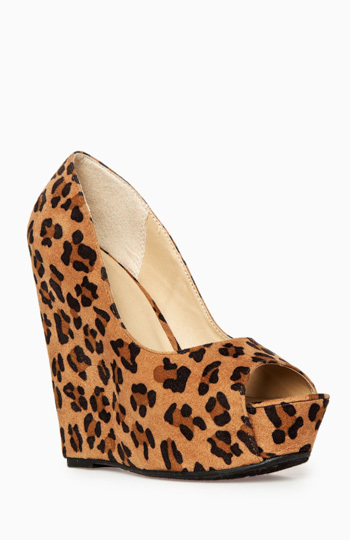 Faux suede platform wedges with peep toes. very cute and comfy, love that they go with virtually everything! would suggest going 1/2 a size up though. normally i wear a 6.5, but they were way too tight, exchanged for a 7 and they fit perfectly.